Geografi ; natur ; klima ; demografi ; historie ; ophørte fredsbevægelser ; ophørte politiske partier ; ophørte sociale bevægelser ; krige ; kultur ; biblioteker ; kunst ; film; musik ; musikorganisationer ; folkemusik ; jazz ; pop ; rock ; musiklitteratur ; politik: indenrigspolitik ; udenrigspolitik ; præsidenter ; regering ; lovgivende forsamling ; valg ; militær ; kernevåben ; aktuelle politiske partier 2010 ; aktuelle fredsbevægelser ; militærnægterorganisationer ; religion ; aktuelle sociale bevægelser ; sociale forhold ; uddannelse ; universiteter ; økonomi ; våbenhandel. Det lovgivningsmæssige grundlag for USAs nuværende efterret-ningstjenester og deres virksomhed er Lov om national sikkerhed / the National Security Act fra 1947 med senere ændringer og tilføjelser, hvori forskellige efterretningsoperationer defineres. Heri defineres eksempelvis hemmelige operationer som: »den amerikanske regerings handling eller aktiviteter til at påvirke politiske, økonomiske, eller militære forhold i udlandet, hvor det er hensigten, at den rolle De Forenede Staters regering har ikke vil være synlige eller anerkendt offentligt«. Det var denne formulering - og lovgivernes manglende kontrol med efterretningtjenesterne som bl.a. muliggjorde Iran-Contra skan-dalerne under præsident Ronald Reagan embedsperiode. The legislative basis for America's current intelligence services and their operations are the National Security Act of 1947 and subsequent amendments and additions in which various intelligence operations are defined. They define covert operations as: "the U.S. government action or actions to influence political, economic, or military conditions abroad, where it is intended that the role of the United States Government will not be apparent or acknowledged publicly." It was this formula - and legislators' lack of control of intelligence services in particular that enabled the Iran-Contra scandals under President Ronald Reagan's term of office. CRS: Intelligence Spending: In Brief. / : Anne Daugherty Milesm 2016. 'This report examines intelligence funding over the past several decades, with an emphasis on the period from 2007-2016—the period in which total national and military intelligence program spending dollars have been publicly disclosed on an annual basis. CRS: Privacy: An Overview of Federal Statutes, Governing Wiretapping an Electronic Eavesdropping. / : Gina Stevens ; Charles Doyle. October 9, 2012. - 162 s.
Army Foreign Science and Technology Center 1962-? Black Chamber, eller MI-8 eller Cipher Bureau 1913-? Central Intelligence Agency (CIA) 1947-., herunder Gladio, the Directorate of Intelligence, the Directorate of Science & Technology, the Directorate of Support. the National Clandestine Service samt CIA, Center on Climate Change and National Security - Chief FOIA Officer Report: Central Intelligence Agency, March 9, 2012. 'Under the CIA’s Historical Review Program, six historically significant collections were released during the reporting period. Culper Ring 1778-1781? - A Short History of Army Intelligence. / : Michael E. Bigelow of US Army Intelligence and Security Command, dated July 2012. Foreign Intelligence Surveillance Court - The Foreign Intelligence Surveillance Court was created by section 103(a) of the Foreign Intelligence Surveillance Act of 1978 (50 U.S.C. 1803(a)). It was originally comprised of seven district judges from seven circuits named by the Chief Justice of the United States to serve a maximum of 7 years. In 2001, the U.S.A. Patriot Act (section 208) amended the Foreign Intelligence Surveillance Act to increase the number of FIS Court judges from seven to eleven, "of whom no fewer than 3 shall reside within 20 miles of the District of Columbia." The Foreign Intelligence Surveillance Court of Review was created by the Foreign Intelligence Surveillance Act of 1978 to review applications that were denied by the FIS Court. Interagency Group on Domestic Intelligence and Internal Security, 1970-? Joint Defense Facility at Pine Gap 1970-. GAO: Military Base Realignments and Closures: The National Geospatial-Intelligence Agency’s Technology Center Construction Project. 2012. - 19 s.
'NGA’s Technology Center was completed with a modified scope of work but still met the original data-storage requirement, and the agency believes it constitutes a complete and usable facility. The NGA Technology Center was performing its mission as of the end of September 2011. Nonetheless, while NGA’s data-storage requirements were stable during the Technology Center’s construction, NGA modified the scope of work for the center multiple times because the space it originally projected it would need for data storage was later reduced due to advances in data-storage technology. NGA officials told us that at the beginning of the project NGA had identified a data-storage requirement of 8 petabytes'. National Security Agency (NSA), herunder Echelon - Fiscal Year 2012 National Defense Authorization Budget Request for National Security Space Activities. H 15, 2011: Hearing on national defense authorization act for fiscal year 2012 and oversight of previously authorized programs before the committee on armed services house of representatives one hundred twelfth congress first session subcommittee on strategic forces hearing on budget request for national security space activities hearing held March 15, 2011. - U.S. National Archives and Records Administration : Executive Order 12333--United States intelligence activities. Source: The provisions of Executive Order 12333 of Dec. 4, 1981, appear at 46 FR 59941, 3 CFR, 1981 Comp., p. 200, unless otherwise noted. Office of the Coordinator of Information 1941-? Office of Chief Of Naval Operations (OPNAV), 20th Division of the Office of Naval Communications, G Section / Communications Security 1922-1946? Office of Special Plans 2003-? United States Secret Service - The U.S. Secret Service: An Examination and Analysis of Its Evolving Missions. / Shawn Reese, Analyst in Emergency Management and Homeland Security Policy. CRS, April 16, 2012. - 24 s.
Se også: Battlefield Surveillance Brigades ; biometric-enabled intelligence ; the Defense Intelligence Space Threat Committee ; Center For the Study of Intelligence ; Director of National Intelligence ; the Joint Military Intelligence Program ; Military Intelligence Corps ; National Declassification Center ; The National Intelligence Program ; National Security Action Memoranda ; National Security Resources Board ; Original Classification Authority ; Original Classification Decisions ; President's Intelligence Advisory Board ; Security Classification Appeals Panel ; security cleared personnel ; stovepiping ; Subversive Activities Control Board, 1950-1973 ; Tactical Intelligence and Related Activities ; the United States President's Commission on CIA activities within the United States 1974-1965 ; the US Army Intelligence Museum ; Veteran Intelligence Professionals for Sanity. National Security Act of 1947. Bibliography Branch, Muir S. Fairchild Research Information Center, Maxwell AFB, AL. August 2007. CRS: Drones in Domestic Surveillance Operations: Fourth Amendment Implications and Legislative Responses. / : Richard M. Thompson II. 2012. - 23 s.
CRS: Intelligence Spending and Appropriations: Issues for Congress. / : Marshall C. Erwin ; Amy Belasco. 2013. - 20 s.
'It is now publicly acknowledged that intelligence appropriations are a significant component of the federal budget, over $78 billion in FY2012 for both the national and military intelligence programs. Limited publicly available data suggests intelligence spending, measured in constant 2014 dollars, has roughly doubled since the September 11, 2001, terrorist attacks and, before declines over the last three years, was almost double spending at its peak at the end of the cold war. The recent disclosure by the Washington Post of details from the Administration’s FY2013 National Intelligence Program (NIP) budget request may spark further debate about intelligence spending. Intelligence spending is spread across the seventeen organizations comprising the intelligence community. Over 90% of NIP funding, which focuses on strategic needs of decision makers and is notionally under DNI control, falls within the Department of Defense (DOD) budget. DOD members of the intelligence community also receive funding for tactical intelligence from the Military Intelligence Program (MIP), which is under the authority of the Secretary of Defense but which may fund intelligence collection platforms that could be used for both tactical and strategic purposes. The remaining portions of the NIP fall within several other cabinet departments and two independent agencies. CRS: Government Access to Phone Calling Activity and Related Records: Legal Authorities./ : Elizabeth B. Bazan, Gina Marie Stevens, and Brian T. Yeh. 2007. - 21 s.
CRS: Intelligence Authorization Legislation Status and Challenges. / : Richard F. Grimmett; Rebecca S. Lange. 2012. - 19 s.
CRS: Reform of the Foreign Intelligence Surveillance Court (FISC): Selection of Judges. / : Vivian S. Chu. 2014. 'In the past year, the decisions and functions of the courts established under the Foreign Intelligence Surveillance Act (FISA) have received much public attention. FISA established two courts—the Foreign Intelligence Surveillance Court (FISC) and the FISA Court of Review— which have jurisdiction to review government applications to conduct electronic surveillance for foreign intelligence purposes. Various proposals have been introduced in Congress to amend the law that authorizes such surveillance and to change the internal practices and procedures of the courts. This report focuses on those proposals that would amend the process for selecting the judges who serve on the FISC and FISA Court of Review. Hillhouse, R.J.: Outsourcing Intelligence: How Bush Gets His National Intelligence from Private Companies : Private corporations are now a major staple of national intelligence and are heavily involved in producing the most important and most sensitive national security document -- the President's Daily Brief. The Nation, July 31, 2007 . National Security Archive: U.S. Espionage and Intelligence: Organization, Operations, and Management, 1947-1996. This publication 'publishes together for the first time recent unclassified and newly declassified documents pertaining to the organizational structure, operations, and management of the U.S. intelligence community over the last fifty years, cross-indexed for maximum accessibility. This set reproduces on microfiche 1,174 organizational histories, memoranda, manuals, regulations, directives, reports, and studies, representing over 36,102 pages of documents from the Office of the Director of Central Intelligence, the Central Intelligence Agency, National Reconnaissance Office, National Security Agency, Defense Intelligence Agency, military service intelligence organizations, National Security Council and other organizations'. National Security Archive Electronic Briefing Book No. 527. / : Edited by Jeffrey T. Richelson. Washington, D.C., August 24, 2015. - "FBI spy plane zeroes in on Dearborn area" was the headline in The Detroit News on August 5, 2015. The story, which broke the news that the FBI had conducted at least seven surveillance flights recently over downtown Detroit, also raised a broader issue. It illustrated the fact that along with the controversy concerning electronic surveillance activities focused on telephone and e-mail records of United States citizens there exists a corresponding source of controversy - the use of satellites and assorted aircraft (manned and unmanned) to collect imagery and conduct aerial surveillance of civilian targets within the United States. - Annual activity reports of the Civil Applications Committee, created in 1975 to provide a forum for interaction between the Intelligence Community and civil agencies wanting information from "national systems" (Document 2, Document 4, Document 6, Document 13, Document 16). - Articles from a classified National Reconnaissance Office magazine discussing the use of NRO imagery spacecraft to aid in disaster relief (Document 9, Document 10, Document 23). 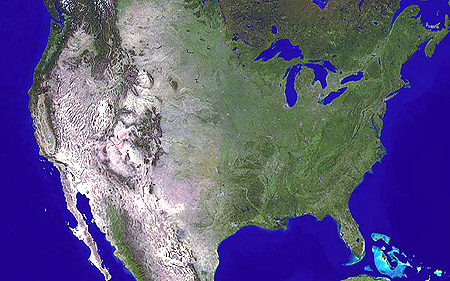 - Articles from the National Geospatial-Intelligence Agency's Pathfinder magazine, which describe how the NGA uses overhead imagery to provide data to assorted agencies with responsibilities in security operations and planning for National Special Security Events (Document 12, Documents 20a, 20b, 20c, Document 26). - Examples of imagery, obtained by the KH-9 spy camera, of two targets in New York - the World Trade Center and Shea Stadium (Document 29). - Detailed NGA, NORTHCOM, and Air Combat Command internal regulations governing the collection, dissemination and use of domestic imagery (Document 17, Document 19, Document 34). - A description and assessments of the Customs and Border Protection service's use of drones (Document 24, Document 30, Document 35, Document 37). The Evolution of American Military Intelligence by Marc B. Powe and Edward Wilson, U.S. Army Intelligence Center and School, Fort Huachuca, AZ, May 1973. A Documentary Analysis. 1972, 92d Congress, 2d session, 1972.